In my role as assistant headteacher I am responsible for arranging and monitoring the impact of interventions in my school; we are forever seeking new and innovative ways of supporting target pupils to make additional progress. We have been working with Yipiyap for almost a year now and the experience has been extremely rewarding for our school; Joe has engaged very well with our young people and we have employed him in a range of roles including individual support, small group work, mentoring and in-lesson support. His professionalism is well beyond his years and he sets an excellent standard to our pupils. Because of his relative closeness in age to our pupils his impact as a role model is heightened and he certainly personifies the attributes of inspirational and aspirational. Yipiyap have offered the school a great service which represents value for money and high standards, we highly recommended them to others. The girls have continued to be awesome. They have worked so hard in all the year groups but of course, it is with my YR 11 hat on that I can comment. They are enormously supportive and the students really value their help. Can I just say a huge thank you to the Yipiyaps we have had this year - they have been amazing! It's such a shame we lose them, but the pupils understand and can aspire to be like them in the future. They have been fantastic. We look forward to the same next year! The sessions with Altaf have been beneficial to our Year 11 students. Altaf has built excellent relationships with all of the students he works with, some of whom struggle with new faces. The students have commented to me and their peers about the work completed with Altaf and all have been very positive. Having used Yipiyap in my previous school for 1 day a week, I was well aware of the positive influence the process has on targeted students. Having now moved schools, we have Yipiyap 5 days a week and the impact is dramatic. The flexibility this enables means that we can have a greater impact on more students. Students value the consistency that is provided by having the same tutor for each lesson. Departmental members have also felt the benefit in lessons where they can now have a more targeted approach. I can definitely recommend that having Yipiyap 5 days a week is a fantastic source of intervention. Charlotte has made a great impression on the English dept – adaptable, quick, uses her initiative and is very friendly and personable. Everyone loves her already! I also cannot praise Jamie highly enough. We have really benefitted from his commitment and his work ethic. What a tremendous young man he is and a great role model to our students. We shall really miss him. Our Yipiyap tutors have proved to be positive, flexible, capable and unrelentingly committed members of staff. We cannot envisage how we would have delivered an effective intervention programme without the commitment and expertise of our Yipiyap tutors... more of the same next year please! Kelvin has been a massive hit with our students. As the day has progressed I have caught up with each group and all were very positive. They have commented how they really enjoyed the opportunity and how much they like Kelvin. Some of the students have been a little disaffected due to recent set changes and to see them with a smile on their faces after Maths was fantastic. I think the starting arrangements were excellent. To have that first week to organise ourselves and identify students while you meet and train the tutors was ideal. I wouldn’t change that next September at all. 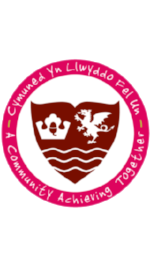 This was the first year that Prestatyn High School has had a Yipiyap tutor. Over the past nine months, Josh has proven to be a valuable member of the maths department. his work has given students greater confidence in their maths ability and has helped weaker pupils develop key skills. In the September, Josh and I devised a timetable giving him the chance to help students within years 8, 9, 10 and 11. After the November mock exams, Josh as able to provide statistical data and analysis of the results. In turn, this helped the department correctly set each pupil, create intervention groups and ascertain missing skills. Josh was able to correct these in smaller intervention groups of students, focusing on specific weaknesses and teaching exam technique. He has worked with a range of students from additional maths to foundation and has handled every situation very well. His work to help staff with assessment and planning has also proved valuable. We are very happy with his work this year and are hoping for another successful year with the Yipiyap program. I can’t speak highly enough of Dan and Raihan. They have shown a great deal of initiative and get on with the task in hand. Although I initially thought I would use them as a boost to C/D borderline students, this has not always been possible due to the year 11 being in high demand from their other subjects. However, they are working in class supporting PP students and students who joined us sub level 4 on entry. The next question is do you offer anything similar for English support? Also, would it be possible to increase capacity across Maths and English focusing on supporting PP students in the classroom with some extraction for intervention in groups when needed. I met with the head this afternoon and fed back to her regarding the support from the two young men. She is keen to roll things out on a larger scale. Julia has been amazing during the short time she has been at The Farnley Academy, offering her support for some of students academically, working on a 1-1 basis with Science, Maths and English over the last few months. The students have engaged well with Julia and I believe all of them have appreciated all the support she had offered. Comments and feedback from the students have been positive and usually the students ask if they can work with her again. For example- "Miss is brilliant!" "Oh I get my work now so I will be able to do it when I go back in class" "I have learnt a lot" " I actually get it now"
Julia has always been prepared and even took novels home to read if she was unfamiliar with the books to allow her to become familiar with text so that it would allow her to help the students complete any tasks which had been set for them by their teachers. Julia has worked with some of our most challenging and vulnerable students while they have served some time in isolation and the intervention has been beneficial to them especially returned from exclusions or missed lengthy periods of time away from school for several reasons. If other students on her timetable were absent she would always come into isolation to let her know she was free and take an extra student out to help them.Before mock exams, she has completed revision with the students to allow them to practice topics that were difficult to understand.